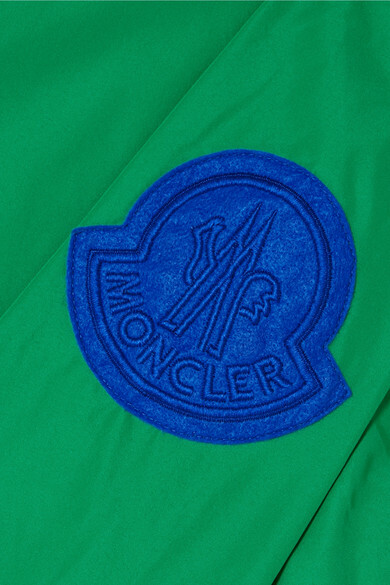 Moncler's jacket is a vivid shade of green that's easy to spot, whether you're out hiking or running errands. 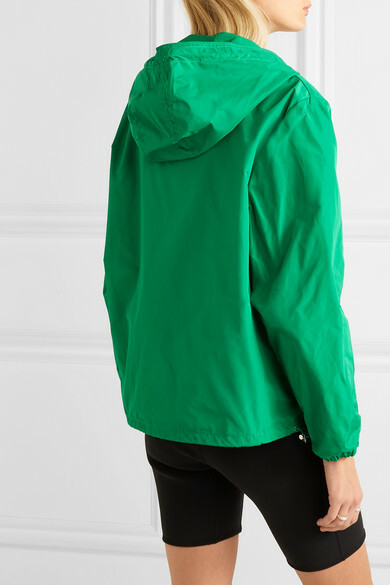 It's made from lightweight shell with a drawstring hood and hem to block out chilly winds and a two-way zipper so you can adjust the ventilation when it's warmer. 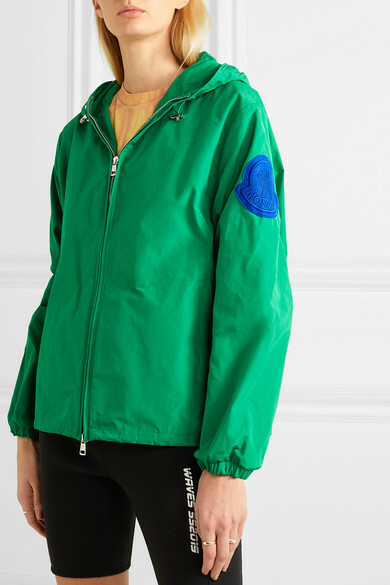 We love how the brand has supersized its logo on the sleeve. Shown here with: AMBUSH® Shorts, Aries T-shirt, Prada Sneakers, Reebok X Victoria Beckham Belt bag, Sophie Buhai Ring.